Stuart Botterill was the son of a South London cigar importer, who moved to Southampton in his 20s, where he was employed as the manager of a printing company. He enlisted in early 1917 and was killed in action less than six months later. Stuart Botterill was born on 1 July 1879 at “The Oaks”, Oliver Grove, South Norwood, the fifth child and youngest son of William Richard Botterill (1844–1895) and his wife, Amy née Phillips (1851–1922). William Richard Botterill had been born in Shoe Lane, near Fleet Street in central London, where his father was a tobacconist. When he left school, he joined the family business before marrying Amy in 1869. On the death of his father in 1877, William became head of the business, now cigar importers based at 33 Cheapside in the City of London. With increasing prosperity, William moved out of central London, firstly to Forest Hill in Kent, where his first son, George, was born in November 1870, before settling at “The Oaks”, Oliver Grove in South Norwood. After George, children were born at approximately 2-yearly intervals: Amy in July 1872, Millicent in April 1874, William Howard in November 1877, Stuart in July 1879 and finally Elsie in September 1880. By the time of the 1891 census, the family had moved ½ mile north to 226 South Norwood Hill in Croydon, where they now had three live-in servants. Stuart was educated at Whitgift School in South Croydon, four miles south of the family home. William Botterill died on 23 February 1895, aged 50. In his will, he left an estate valued at £10,860 appointing his wife and eldest son as executors. George, aged 24, now succeed his father at the head of the family business. Following her husband’s death, Amy moved to “Kingswear”, Glossop Road in Sanderstead where she was living at the time of the 1901 census, with her four youngest children. Stuart, now 21, was employed as an assistant to a drapers’ wholesaler. At some time in the next ten years, Stuart left the family home and moved to Southampton, where in 1911 he was living as a boarder at 74 Belmont Road, Portswood with Henry Hoare, a clerk with the London & South Western Railway, and his wife, Harriet and two daughters, Rosa and Ethel Elizabeth. Stuart was now employed as a manager for The Red Hand Composition Company. On 29 April 1915, 35-year old Stuart and Ethel (aged 24) were married at St. Denys Church in Southampton, by which time Ethel’s father, Henry, had been promoted to manager. After their marriage, Stuart and Ethel lived at 82 Belmont Road, a few doors from her parents. Stuart and Ethel Botterill appear not to have had any children. Stuart Botterill was initiated into Beach Lodge No. 2955 in Southampton on 22 October 1912. He was passed to the second degree in November, and raised to the degree of a Master Mason on 25 March 1913. Although Stuart had been a volunteer in the London Rifle Brigade for several years before the war, it was not until April 1917 that he enlisted. After training in England, he was sent to France in July, as part of the British Expeditionary Force with the 2/5th (City of London) Battalion (London Rifle Brigade). When Stuart joined up with the battalion in late July, they were billeted at Berneville, nine km east of Arras, where they remained until 24 August. On 24 August, the battalion marched to Arras from where they travelled by train to Godewaersvelde, 65 km north and close to the Belgian border, from where they marched a further 10 km to Poperinge, arriving at their billets at 8 pm. The battalion stayed at Poperinge until 28 August, when they were moved into reserve at Reigersberg Chateau on the Yser canal, some 500 metres to the north-west of Ypres, where they remained until the night of 7/8 September, when they moved into the line north of St Julien, 7 km north-east of Ypres. Immediately, the battalion came under heavy German shelling, resulting in substantial casualties. During the night, patrols went out to inspect the enemy wire, but during the day they were forced to shelter in shellholes and trenches, which were rapidly disintegrating in the heavy rain. After four days, in which the battalion lost 10 dead and 26 wounded, they withdrew to Reigersberg. Battalion paraded ready to march off at 10:45 p.m. The night was very dark, and heavy rain fell from 10 p.m. till about 1 a.m. The northern duckboard track which ends close to Kitchener’s Wood was followed as ordered, and from this point a line across country, the road being obliterated, to … Regina Crossroads [50.89598, 2.92526] (&) Hibou [50.89760, 2.93920]. This last mile or so was very hard on the men, the leading company arriving there at 3:40 a.m., and at once formed up on the tape. The whole battalion was in position at 4:05 a.m., men very tired, fell asleep immediately and were not roused until about 5:20 a.m., when they ate a sandwich ration, with which each man was provided. At zero hour, 5:40 a.m., the whole rose up and advanced in good formation, the flanks of each company marching on a compass bearing. After several weeks of incessant rain and heavy shell fire, the ground had been turned into a quagmire, and the men were soon forced to seek higher ground. As the battalion advanced, they came under heavy artillery bombardment resulting in mounting casualties. As officers began to fall, the men found it increasingly difficult to maintain direction but continued to push forward. They finally managed to capture several German pillboxes and take large numbers of prisoners, before eventually consolidating their position with a line to the east of Von Tirpitz [50.89568, 2.95585] and Stroppe Farms [50.89760, 2.95560]. At about 6:00 p.m., the enemy could be seen massing for a counter-attack. As the enemy advanced, they were cut down by heavy machine gun fire combined with an allied artillery bombardment, and the attack was repulsed. The attack by the London Rifle Brigade had been largely successful in achieving its objective, but came with heavy casualties. Out of 452 men who set out from Reigersberg, only 179 returned unscathed. 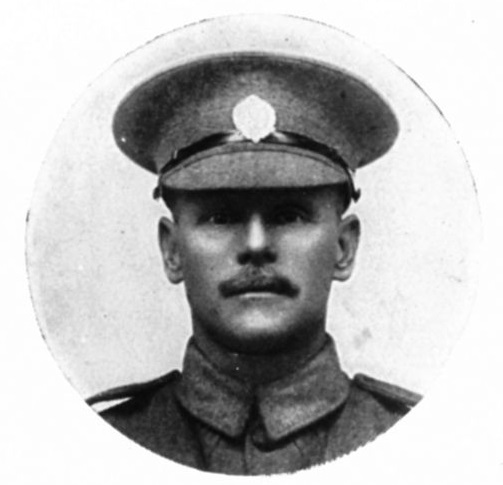 99 men (including Rifleman Stuart Botterill) were killed and 173 were wounded. Of the 16 officers, 9 were killed and the rest were all injured. Stuart Botterill’s body was never recovered and he is one of over 54,000 casualties commemorated on the Menin Gate Memorial at Ypres. He is also commemorated on the Southampton Cenotaph. As well as being the head of the family cigar business, Stuart’s elder brother, George Phillips Botterill (1870–1944) was also an eminent soldier. He was commissioned as a second lieutenant in the 4th Battalion, City of London (Royal Fusiliers) Regiment in February 1897, rising to become a Lieutenant-Colonel and the battalion’s Commanding Officer from the outbreak of the war until he was injured in May 1915. He was the first Territorial Lieutenant-Colonel to lead his battalion overseas during the war. Stuart’s widow, Ethel continued to live in Belmont Road after his death, although in 1939 she was living at No. 98. In May 1945, she married Hugh Cameron Fleming, an engineer originally from Lancashire, in Detroit, Michigan. The couple eventually settled in Poole, Dorset where she died in 1970, aged 79. The Botterill family still have connections in the tobacco business with Henry Botterill & Sons trading from Langham House, 302–308 Regent Street, London. Special thanks to the members of the Great War Forum for their assistance.